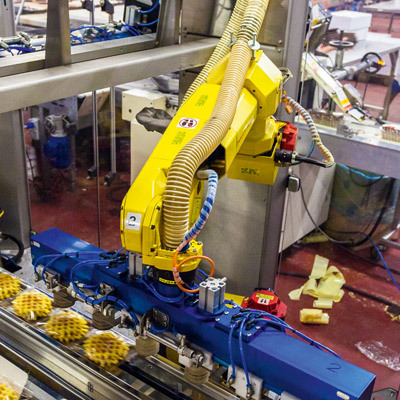 With the best payload and inertia in its class, this model delivers improved throughput and optimised cycle times combined with extreme versatility thanks to its 6 axis design. 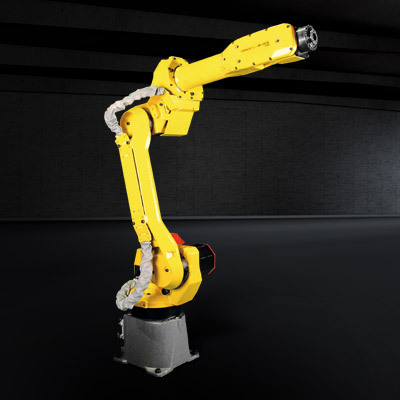 Boasting the highest wrist moments and inertia in its class, this model makes light work of payloads up to 10 kg. 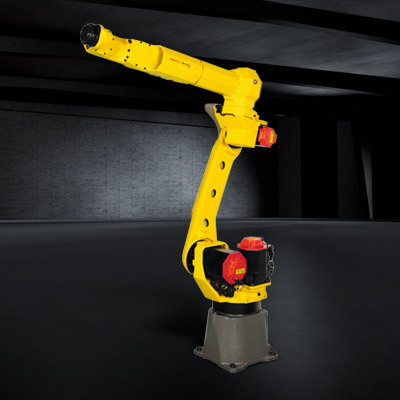 Weighing only 130 kg, this short arm model offers the best payload in its category and reliable repeatability. 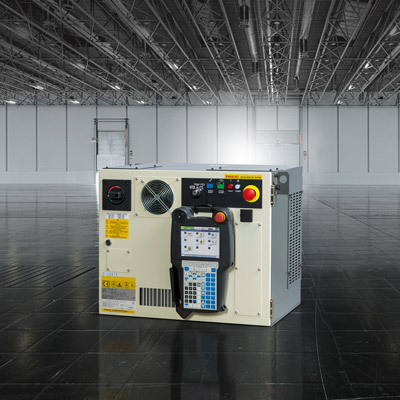 A cleaner look, better cable protection and durability, easier cleaning and maintenance, better system reliability and improved performance. 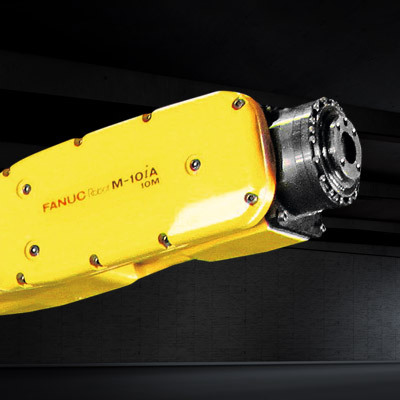 With a wrist interference radius of only 110 mm, the FANUC M-10 series is about easy access into narrow spaces and easy integration into small cells. 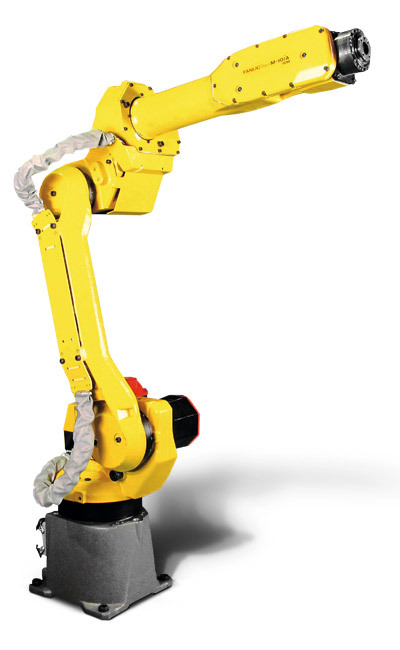 M-10iA/10MS – Ideal for complex handling tasks that do not require a longer reach. 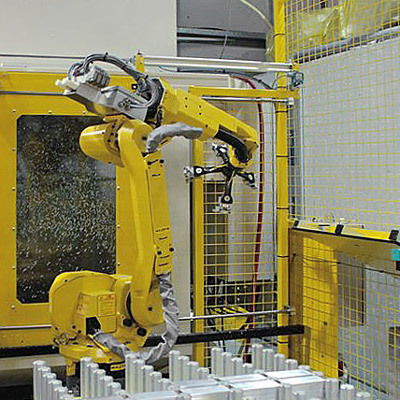 Allows handling of very large parts with a minimal impact on cycle-time. 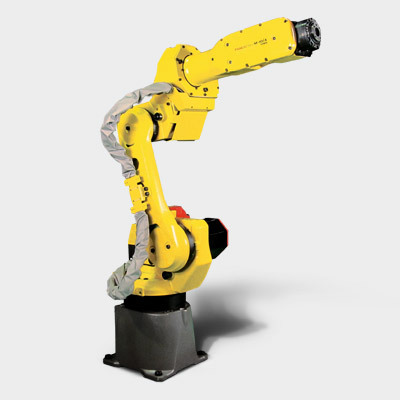 Discover the high inertia long arm M-10iA/7L model.